Bridgewater College’s Cannington Centre for Land-Based Studies promotes best practice to the next generation of farmers using DeLaval dairy farming products and equipment. Students at Bridgewater College’s Cannington Centre for Land-Based Studies are making the best start to their farming careers with assistance from DeLaval dairy farming solutions. Thanks to products and technology from the worldwide dairy supplier, the next generation of farmers are able to gain practical experience at one of the region’s leading providers of agricultural training. Using nothing but the most effective techniques and equipment, students are able to learn best practice promoting cow comfort and longevity. The Cannington Centre’s own 160-hectare working farm provides the students with access to 240 Holstein cows under the watchful eye of Farm Manager, Steve Jones. As their learning mentor, Steve is keen to ensure that the students understand the importance of the high standards required as farming moves forwards into the future. High performance detergents such as Delaval’s Cidmax acid cleaner and Ultra alkaline cleaner have not only contributed to a Bactoscan of just 9, but also ensure that the growing demand from consumers and dairies for high quality milk is reached. DeLaval mattresses and swinging cow brushes further contribute to cow comfort, keeping them clean and happy. 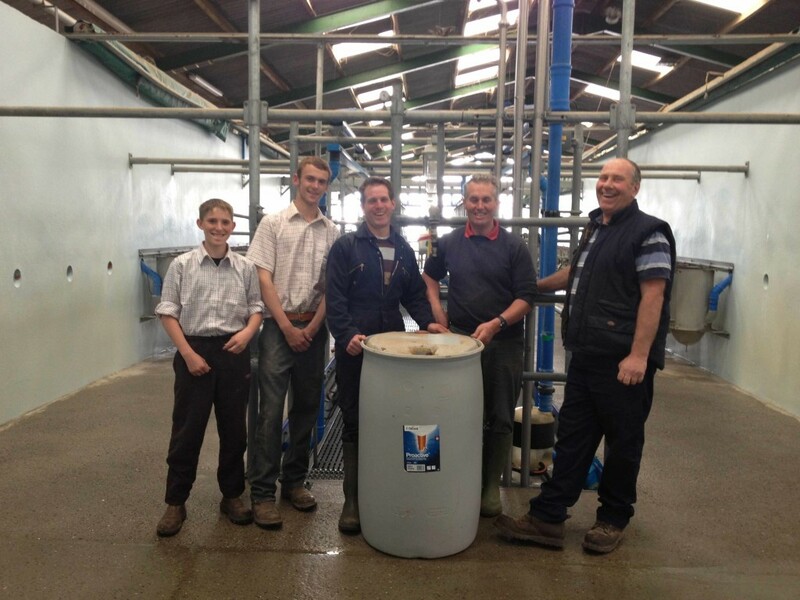 It’s not just the cows that are benefiting from DeLaval. The 32 unit Herringbone Parlour with adjustable floor has made milking times more relaxed and productive for the trainee farmers as well as the herd. While the cows experience a faster milking time with yields rising from 8500 litres to 9500 litres, the non-slip hydraulic floor system provides maximum comfort and safety for the milkers. A simple push of a button means that each student can be at their optimal height, no longer risking injury from incorrect stance. “We use it more than we thought we ever would,” says Steve. Feeding time is a simple affair, too with DeLaval’s out of parlour feeding system removing any guesswork. Each cow is fed the correct amount and mix of feed suitable to her stage of lactation through natural, stress-free eating patterns. So, while student farmers are busy benefiting from the best training facilities, DeLaval is also learning how it can constantly improve dairy farming technology, ensuring that cow health remains a priority now and into the future.